Over 125 passionate game developers on staff have shipped 11 games on every major system. 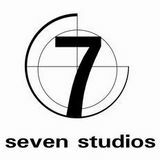 Working with partners like HBO, Marvel, DreamWorks, Bruckheimer Films and others, 7 Studios has shipped multiple million-unit sellers. We have also emerged as a... Read full profile. Formerly known as Blitzfront Game Studio, the company has released Talvisota: Icy Hell and is currently working on an unannounced title. Abalone Studios is a serious games development company located in Albuquerque, New Mexico. We create mixed-reality environments used for training by the US Army and others. Our speciality is Location-based Immersive Virtual Experience (LIVE) Training... Read full profile. Developer of the Coffee Break PC title in 2005. Founded in 2004, ACRONYM Games Inc. is an independent game development studio built by industry vets Daniel "Funky" Swadling and Jesse Joudrey who have gathered around them an outstanding team of some of the best talent in the industry. Our team experience... Read full profile. Founded in 1993 and headquartered in Moscow, Akella has become a leading developer, publisher and distributor of PC, console games and multimedia products on the Russian and CIS market. 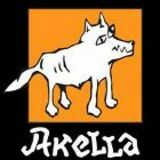 Over these successful years of constant development Akella has... Read full profile.